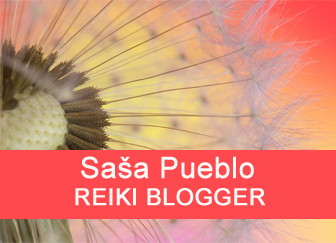 Here I write about the issue of running a reiki consecration. How to consecrate yourself and someone else in his presence or at a distance without his presence. How to consecrate yourself and someone else in his presence or at a distance without his presence. We will talk here about physical area of the navel as one of the most important chakras – solar plexus. The concentration goes to the skin and here is the nervous system, but not only clasical nervous system, but also passive nerves from the human development when we were animals. And here we have to be aware to activate this historical nerves and not only nerves of the current civilization. This historical nervous system is there, but it is not functioning and has different function in the skin. Then in the area of the skin begins latent dormant nerves of the mother of the person and also it has be mobilized and through these nerves penetrates inside of the human. I will pay attention to the issue of abilities development in the chakra area within the navel. Why is this area so important in indian chakra system? For embryo during the pregnancy the navel is only the area which connects the embryo with the placenta and the placenta is the connection with the mother, which is realized with veins and arteries and nervous system. Mother’s nervous system leaks throught this point. After the birth of the child and cut the umbilical cord remains in the navel center, which was used for cooperation with the mother. From this center is managed child development and from this center penetrates the nervous system of the mother to the child. 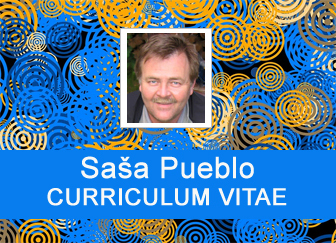 After cutting the umbilical cord remains in every human umbilical center and part of nervous system of the mother. This center does not dissapear but is stored in passivity together with nerves and neurons of the mother. So we can activate and start to use it. This is one of the secrets of the umbilical area. Meditation person concentrates into the navel area, touches his navel and imagines the connection of whole brain through his hand to the navel. Whole hand is here as umbilical cord and brain of the meditation person here will play the role of a mother and her system, which takes care of her child. Person who meditates gradually penetrates inside the navel and activates the umbilical center that is inactive. Meditation person activates this center and many months and years is breaking through inactive neural system inside own body. At the same time in the brain builds centre for cooperation with the umbilical area. Meditation person gradually acts into own system and make the necessary changes exclusively throughout this system. The best help in building this system is imagine and think about the pregnant mother and child. And also think about pregnant animal female. Full cooperation model child – mother and animal – cub takes place via the umbilical area. Navel is here understood as chakra and in this chakra area is already activated umbilical cord. Umbilical cord helps the transition of several vessels and veins in the area of child through the placenta directly from the mother. And also it works contrary from the child to the mother through the placenta. Under the placenta we understand the area, which mainly processes nutrients from the mother’s blood to the baby’s blood. This process is managed through the umbilical center. And here is a unique opportunity to activate this center and make a connection in your body. You turn your umbilical center to support your digestive system. Thus, after many years of training or reiki initiations your umbilical center takes care of your digestive tract. It takes care of what does nervous and neuronal system in the mouth, tongue, pendant brain, stomach, small intestine, colon, liver and gallbladder, pancreas, duodenum. Systems connection inside of our body is heading into the skin, fat and bone sponges within bones. Don´t forget about microtubules in all cells, which are as spiderweb passing through one cell to other cells. It is an extremely thin fibers of nano size and it is 0, 000001 millimeter. They were discovered by the quantized biology as a new science area. Even this spiderweb – microtubules is something special as a way of cells nutrition. We see the skin and its layer as the possibility of nutrition directly through the skin. This is forgotten potential and this phenomenon can favor elderly people, when the digestion fails and is not able to supply the body with the nutrients for various reasons. Fat cells are a bit different from the imagination of ordinary people. We have to look at fat cells a little wiser and see them as alternative resources for all organs and chemicals in the body. Stem cells inside the body can act in favor of fat cells and fat cells start to produce chemicals needed for the body and drugs sold in pharmacies at the prescription. There wasn´t a problem mentally affect fat cells and support their changes to adjusted fat cells producing necessary chemicals that digestive system is already not able to produce. Mitochondria (Mini Organics inside cells) are a phenomenon of bone sponges in all bones. There we find what created the parent mitochondria EVA (female egg) and left in bones as mitochondria EMBRYO and those produced mitochondria DNK and mitochondria energy and also mitochondria called FACTORY. Those mitochondria are in all cells of the human body. Only mitochondria FACTORY have the specific place in some cells of the body. Mitochondria EMBYO is the mother of all other mitochondria. Mitochondria DNK are real like second core inside of almost each living human cell. They manage chemical processes in the cell. Mitochondria ENERGY is like micro power plant inside of each cell and transforms chemicals to bioenergy. Mitochondria FACTORY produces different specific substances as biological iron and other similar substances. We have here unique possibility and it is the human navel, umbilical cord. And this remains in the human body after separation from the mother. This area in indian esotericism is called chakra solar plexus and this name retains. I will try to clarify here, why the reiki person should be interested about this area, concentrates to this area, opens it and by training creates in own brain permanent abilities to concentrate into this area. Child after born is taken from the mother body together with umbilical cord and placenta, which nurtured the baby with the mother help. By cutting of the umbilical cord the navel is created and this is end of everything? And didn´t stay something which helped to manage placenta inside the baby? For sure there stayed something. Behind the navel from inside the body in the area of the skin, fat, muscles and small intestine are remains of structures which helps the fetus to gain an effective connection with placenta and mother. So we started with oracular techniques that help us to explore the embryo development and what remains after the childbirth. Oracular techniques can not replace scientific research in scientific terms. Even so, we have tried to bring a serious look at what actually remains after the creation of the navel in the body of the new born child and then in the adult. In the navel area and behind this area stays certain remains of structures from the fetus development. There can be perceived neural structure in form of something like 4 circles stored in a square. Not every adult person has this specific neuronal structure active and we could say that is only exceptionally active. But reiki consecrations direct to the activity of this embryonic structure. This can be seen in reiki consecration ceremony. Of course people who see it must have the ability to sensitize as a manifestation of the brain damage or they have gained such capability by the training. The interest of the meditation person is to activate those structures in yourself and in others. And actually here happens reiki consecration. Activating the umbilical region and what has remained after the development of the child and cut the umbilical cord. For reiki master I do not recommend to heal by own energy from this area. Or across this area drag any bioenergy from other objects such as people or animals. It is better to activate this energy in concerned person and work with the energy of the person. And when the reiki master pulls energies out of himself then the best practise is to take it from female animals and so on. This area could be open by rotating bioenergetic object from the navel area to the concencrated person. This could happens on the distance without the presence of this person. It is appropriate, when such reiki dedicator overcome early stage of the clinical death as a pathological condition or such state of consciousness has already practised. We continue in concentration techniques into the navel area and everything what is behind the navel. And we can find here a lot. First the own nerves in the skin and to learn to concentrate into them. Then here is nervous system from the mother during the pregnancy and goes inside the body. Then there are prehistoric nerves that are something as a grid system. Then here are remains of bodies such as the blastula, zygote, morula, and the basis for the development of the embryo and fetus. From the navel is the contact on the placenta or what has remained from it. In this area are other embryonic structures of fetal development, which are blocked in an adult. Then here is the possibility to spin energetic rounds and thicken them and treat yourself or others or using them to accumulate the energy to open these systems. But in this area you will find a more precious things and so dwarfed umbilical cords from the prehistory development. And even these dwarfed umbilical cords can be found and activated in the whole body, it is also unique status. Gradually search them by oracular techniques and by reiki exercises and connect to the navel area. Open this potential for its own performance, exceptional ability and longevity. We continue with the further exercises into the navel area as unique chakra and at the same time we build the unique ability to gather photons – UV in the skin by reiki exercises and reiki consecrations and connect those photons to the creation for example of the vitamin D. Our skin is able to produce vitamin D for the body with the help of sunlight photons. And here you start the process and bioenergy which arises, rotates and is gathered in the navel and in everything that I can describe here. We give gradually into the emergent disc photons from the sun and reflected photons from the moon – that is something like a full moon. But even photons from the pulse high power light. Photons are for the human body natural. We should learn to awaken this power for ourselves and in others. Or correct the formation of D vitamin in skin cells. Next technique which we will practice in the navel area and umbilical cord in this chakra. We establish on other exercises and consecrations in this chakra. This time we introduce children hands and also we remotely connect this hands for such a loving mind. We are giving more and more hands and we rotate them and concentrate in our imagination until you begin to feel them in your body and we give to it practical exercises of holotropic breathwork as a real breath of each organ. We multiply a number of images of child hands rotating counterclockwise. They are thousands in our body and gradually we put them together and in these imaginations we concentrate the bioenergy. After some time we begin to work with it and consecrate themselves and treat others. We have to realise, that we have to care about what kind of energies we gather in our body and as far as we can, it always should be the energy from pregnant animal female and their cubs. In embryonic reiki we prefere everything children and embryonic. And it is important not to gather energies from any strange resources. Then the energy wouldn´t be healing. We gather energy into the navel area and we add our own energy from inside cells and into energetic discs over the whole body gradually insert children drawings of different rotating spirals. Thus we multiplying embryonic sources in ourselves, move them in our body into the navel area and again and again rotate them and multiply strength in the navel. 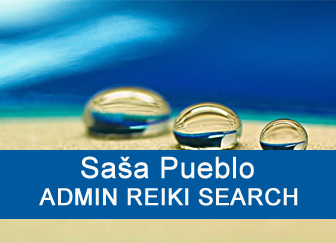 Reiki person handeled previous exercises or consecrations into the navel area. He produces imaginations of rotating spirals and rotating hands. He creates such imagination in own body and gathers them in the navel area. He links them together into one bigger disc and he activates them. He adds to these imaginations own bioenergies or energies taken from different objects, animals or people. The power of that rotated object in the navel area more and more increases. It is appropriate to put hand in the navel area. This accelerates energies accumulation and creates the energetic object full of electrons, sun photons or protons from actions inside of cells like mitochondria for creation bio iron. These could be specific energies, particles outside the body of the reiki person like particles of magmatic core of the planet Earth. When after some time, let say five minutes the power disc is so strong that can be used for treatment. If you have had enough of this treatment, you can dissolve it into bones. 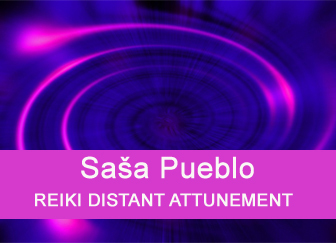 You can support the creation of this energetic disc by the connection of own mind on the psyche of the child, pregnant woman, indigo child or the woman who practices reiki and this helps you to create above the navel something like a rotated thousand-petaled lotus. It is similar as you would spin in the navel area waterlily flower. Something like a pinwheel that quickly rotates in the wind. So the energetic disc is formed in the aura above the navel and not inside the navel or on the navel surface. We continue in creation of energetic disc, which could be called thousand-petaled lotus flower. It rotates closely above the navel surface and its strength has to be higher. How this could be achieved? Here is one approach and it is called holotropic breathing. You produce rotated disc in the navel area – thousand-petaled energetic lotus and you concentrate on real organs such as the liver or kidney and you believe that the kidney has mouth and nose and breathes. You can apply to other parts and organs of the body. The result is an increase of rotated lotuses around the navel and then insert these into a single rotating disc above the navel, and then multiply the strength of the combined amount of the lotus. We continue in rotation of thousand-petaled lotus in the navel area, exactly about the centimeter above the navel. At the same time we recall everything positive in our life and everything what went well and all had a benefit from that. This is a classic hypnotic techniques overexpose good, beautiful and positive. Choose from the memory pictorial, audible and even physical sensations. Nice sounds and pleasant fragrances. Exaggerate as you know. Try to produce antidepressants in the brain and in fat cells. Try to produce substances destroying stress in the brain and in fat cells, try find them on Wikipedia and all these feelings strongly concentrate in the navel and thousand-petaled lotus in this area. You can also use other hypnotic techniques, techniques of peace, love and goodness and something like a recreational sleep in wonderland and spiritual wealth. We continue to gather energy from gestative animal females and their offspring, their own energy and energy of others. We build such system over the navel surface. And when everything what we build is strong then this rotated disc penetrates through the navel inside of the reiki person or person consecrated on the distance. Of course penetration of rotating disc into the navel area needs help of trance techniques. Tune in muscles of arms and body to a state of continuous grinding and chopping of stones, as did prehistoric neolithic builders of cult places. This is monotonous muscles trance and psychological pressure on muscles to trigger these conditions. You gradually insert these conditions into the navel area and rotated disc in the form of thousand-petaled lotus, which starts to penetrate inside the navel and the treatment starts. And this is what we seek – building a rotating disc in the navel. The navel area is the area useful also for the consecration of yourself or other person who is interested about reiki. Alternatively for the repeated consecration or its dynamization. 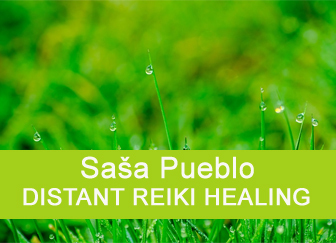 In this case the navel area is activated in the person who is interested about reiki. Basic chakras are activated and specially crown chakra on the head and this opens prehistoric nerves, which we call yarrow nervous system. As well in the skin is activated the point in the middle of the eyebrow, the neck skin, the skin at the sternum, in the navel, the genitalia, skin of hands, the feet and the tail bone. These are places of basic chakras in the skin and here is activated prehistoric grid nervous system in each point. Be aware and do not open today´s nervous system. You link together all points and you open the place of connection all dwarfed organs in the human body. Medicine knows about 200 dwarfed organs. This opens unique place inside the body. This place is perceptible only by the sensible man by oracular techniques. Sometimes basic chakras could be blocked by different experiences and you need good intuition or oracular techniques to perceive this. Cleaning inside of the own body is possible by different techniques. And after purification and stabilization rotating discs are inserted into this space, one maybe two for a master reiki when you will consecrate someone else. You can create a lot of reiki energetic discs. If the reiki person starts to gather energy into these discs, then the disc inserted into embryonic area helps to open energetic lotus above the navel in the aura. This can encourage it into the action. No one else describes the mechanism of reiki consecration in such detail way. You get something around the consecration by own practise. Maybe for someone uncomfortable reiki, but extremely interesting and important. Old religious writings often describe epileptic conditions. When you look into this issue, you will find that not all must end in the most unpleasant cramps, but are reflected in the body in certain intensity and that intensity can be even medicinal. Even it can also be used as a form of the consecration and long lasting treatment. It is necessary to deal with testing the brain by EEG and see if your brain has the potential epileptic seizure. Also children can have non epileptic states and these states could be the form of the treatment. With this form can be activated also the technique of amok with the slogan: “I have to repair yourself so that I can run a marathon tomorrow although I have never run it in my life. Person is able to repair under incredible short time and constantly every night over and over again. This a unique approach to the treatment. Here I write about biomagnets and the base of these biomagnets is bone sponge inside bones. Here are cells inside of the bone mass, which are able to produce biological iron in different forms, sizes and types of iron. One of the potential is the production of the magnetic iron, which is necessary for HEM production and this is necessary to the production of red blood cells. In this case red blood cells are biomagnetic. Biomagnetism in some people mainly in the older age is lost and therefore the blood flows chaotically and benefits some diseases. Therefore in older age is necessary to magnetise the body in the magnetic tunel or with the help of low electric current for example the equipment TENS. If you belong to lucky ones and you have magnetic red blood cells, there is no problem to use this effect to the overall magnetization of the body. All metal elements are strongly magnetic and creates the potential to combine elements into the state of biomagnets and in the human body creates biomagnetic power that can be transferred to the navel, where is formed bioenergetic disc and now it’s magnetic. Special technique for work with thousand-petaled lotus in the navel area. Again we form inside of ourselves and specially in the physical body imaginations of pyramids. So we transfer imaginations from our memory into our physical body and on the distance we connect to existing pyramids over the whole world. At the same time we try to achieve this ideal point in the pyramid and you transfer the power from this place into the energetic disc over the navel. This is extraordinary bioenergy. You form energetically thousand-petaled lotus over the navel into the shape of the pyramid and with the help of holotropic breath which is directed into each cell in the navel area you create many of such pyramids. You can link these pyramids with places of tectonic faults on Earth surface. Throughout the unique point in the energetic pyramid again flows the energy from pregnant animal female.